Furious Fowl is a hilarious bird-themed frame game. Kids love to take aim and STOMP! 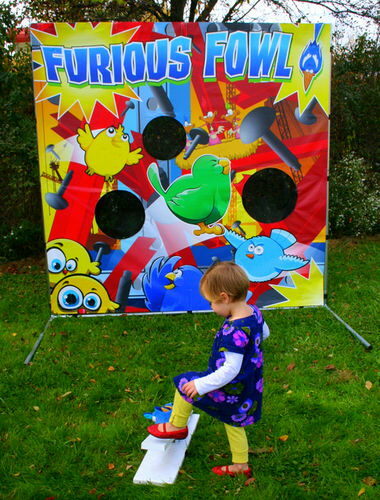 * : Please call us for any questions on our game furious fowl rentals in Butler PA & Western Pennsylvania.